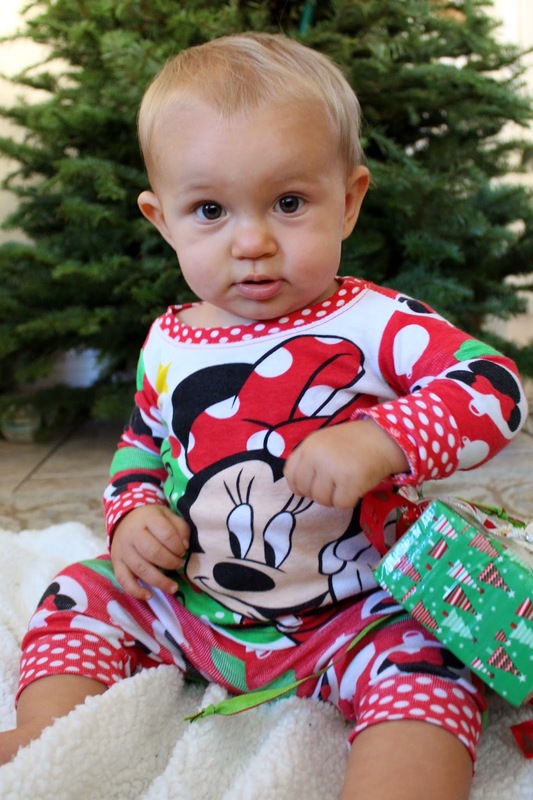 I was putting laundry away in our closet the other day and Little Miss Henley found my box of gift wrap. She pulled out all of my pretty tissue and a bunch of ribbon that I have been saving hoarding for the last who knows how many years and had a field day with it! She was a happy camper for at least twenty minutes, which is the longest she will do anything before she gets bored. I was so happy to actually get a whole pile of laundry put away that I didn't even care half of the tissue paper was destroyed. Since she loved the ribbon so much, and also has an affinity for cardboard boxes, I wanted to make a baby friendly and relatively indestructible toy for Henley to play with. 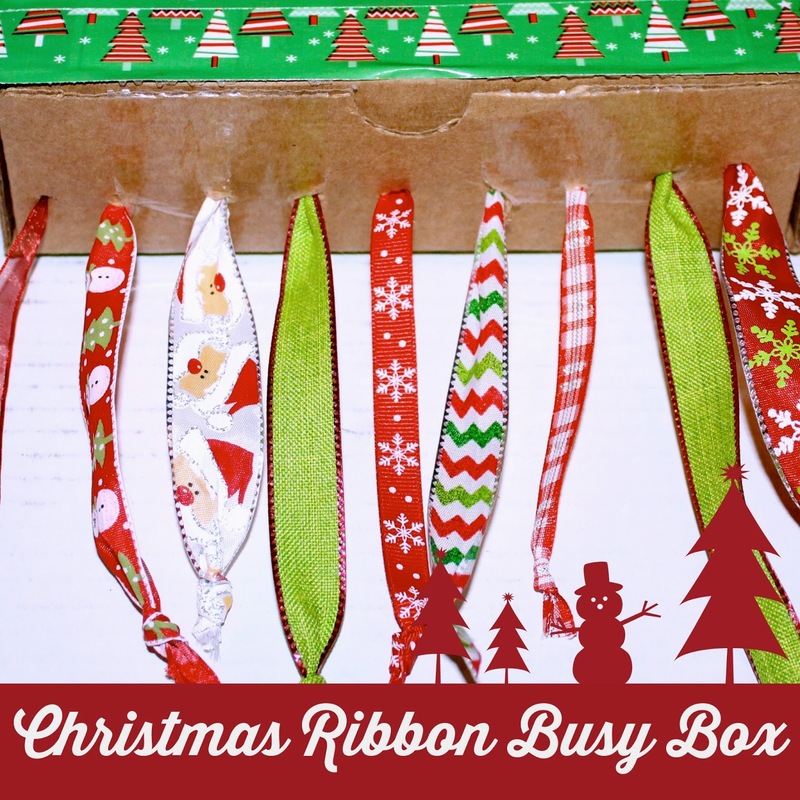 I have seen lots of busy boxes and books with ribbons and I thought that it would be a perfect, quick, and easy project to make a Christmas Ribbon Busy Box for Henley, especially to give to her while I am wrapping presents this season. • Markers, Stickers, etc. to decorate the box if desired. 1. 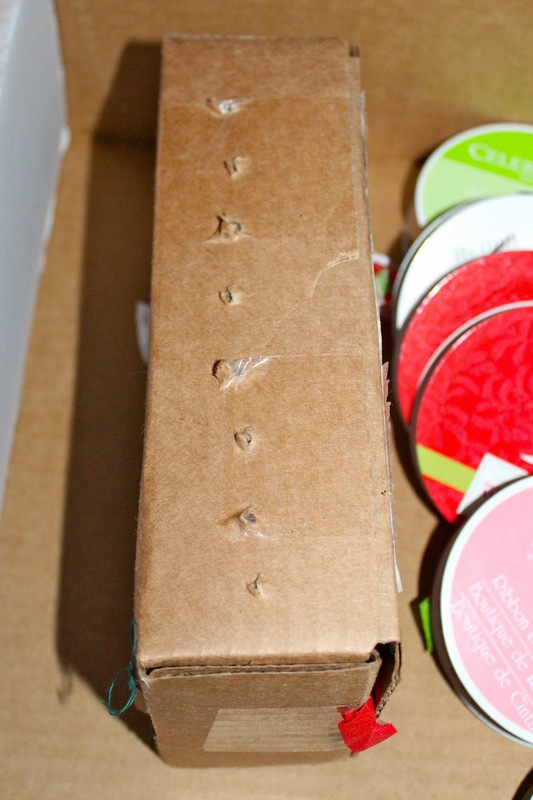 Decide how many ribbons you want to use and poke that many holes in the sides of the box that are parallel to each other. I used the sharp end of my scissors to poke the holes and 9 pieces of ribbon for mine. Make sure to make the holes big enough for the ribbon to move through easily, but not so big that the knot can slip through. 2. Tie a knot at one end of each ribbon and then string them through one side, in the box, then out the other side. Finish by tying a knot in the other end. 3. Tape up the lid on your box. Make it fun with some Christmas Duct Tape! I found mine at Dollar Tree :). If you don't have Christmas tape, you could also decorate your box with stickers and markers, or better yet, let your little one do it! I can't say that Henley loves this box more than getting into my box of gift wrap, because lets face it...babies love what they can't have. She does, however, play with it for a few minutes and likes to fling it around by a ribbon or two, ha! Once in a while she can actually pull a ribbon through, but I don't think she does it purposefully yet. 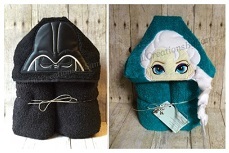 If you make this for your little ones, please share! I hope they enjoy it!